BATON ROUGE, LA (WAFB) - No. 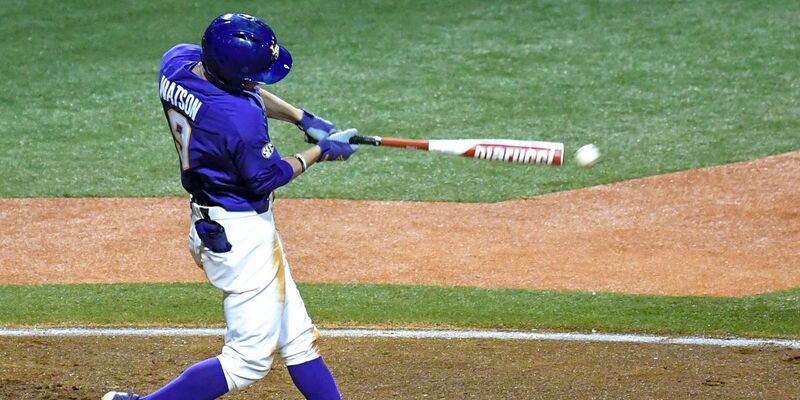 10 LSU had no problems hitting the ball in Game 2 against Kentucky Saturday night at Alex Box Stadium. The Tigers beat the Wildcats, 16-4. They have won the series after taking the first two games. LSU improved to 14-5 overall and 2-0 in the SEC. The Wildcats are now 13-6 overall and 0-2 in league play. Center fielder Zach Watson was 4-for-4 in the game, including a three-run home run, to lead the Tigers at the plate. He had five RBI. Pitcher Cole Henry started on the mound for LSU and got the win. It’s his first as a Tiger. He threw five innings, giving up three runs on six hits. He struck out six batters, a career-high, and walked only one. Trent Vietmeier picked up the save. LSU finished with a total of 12 hits in the game. Game 3 is scheduled to start at 2 p.m. Sunday.